Please CLICK HERE for our 2019-2020 school year enrollment application. Please call 480-452-5777 to schedule a tour. Walk-ins are not permitted. Grades 1-8 tours are reserved individually. Please call for available day/times. A child must turn 5 on or before August 31, 2019 for Kindergarten enrollment. SCDS does NOT offer an early entrance test for the Kindergarten program. 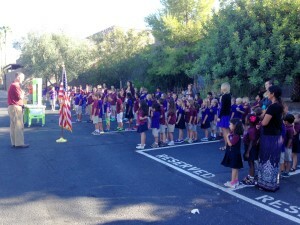 Thank you for your interest in Scottsdale Country Day School for your child(ren). The information contained in this document is meant to help answer general enrollment policy questions. This does not constitute all policies and are subject to change by the SCDS governing board. Please do not hesitate to contact the SCDS office at 480-452-5777 or kathy@scdsaz.com with any questions or items that may need further clarification. December 1, 2018 - December 31, 2018: New applications, current SCDS students, and new student sibling application enrollment period. Please remember that new applicant wait list numbers are determined by the date/time that an application is accepted. Applications received past December 31, 2018 will be put on the list for any available spaces on a first come first serve basis behind applicants that are received during the open enrollment period. Applications must be submitted online. All applications will be date and time stamped. January 11, 2019: Offer of acceptance announced for all applications submitted during the open enrollment period. Offers will be emailed to accepted students. Waitlist numbers available to families not offered positions. SCDS will attempt to email waitlist applicants but timeline is not guaranteed. Every family will receive an email if and when an offer is extended to his or her child. The email address of at least one of the parents/legal guardians listed on the enrollment form will be used for notification. January 18, 2019: Acceptance of offer deadline, including submission of checklist items and Student Account payment due to confirm enrollment. Acceptance of an offer of enrollment does not constitute official enrollment. All deadlines are subject to SCDS office hours. January 1, 2019 - Current Available spaces are on a first come first serve basis after the first offer of acceptance deadline has passed. Please complete an application online. If a family rejects an offer of acceptance or does not submit the required checklist information by the provided deadline, they are removed from the list and must reapply if they wish to be considered again for enrollment in the 2019-20 or future school years. A child must turn 5 before September 1, 2019 for Kindergarten enrollment. SCDS does NOT offer an early entrance test for the Kindergarten program. Each potential student must have an enrollment application submitted. Should there be a wait list, if a sibling receives an offer of placement, the sibling on the wait list will automatically be moved to the top of the list. If the sibling who is given an offer of acceptance does not officially enroll or withdraws from the school before the start of the school year, priority status will be revoked for the waitlist student. SCDS standard Kindergarten program is a full day program. Classes run from 8:30am-3:30pm except for scheduled half days. There is no tuition for the KG program. Open enrollment period from December 1-31, 2018 is NOT first-come, first served. If, for any grade level, the number of applicants exceeds the number of openings, there will be a lottery to determine enrollment and waitlist numbers on January 11, 2019 at 3:30pm in the main office of SCDS. Waitlist numbers are determined by the date/time that an application is accepted. Only applications submitted during the OPEN ENROLLMENT PERIOD are included within that lottery pool. Offers of acceptance will be emailed on January 11, 2019. When your application reaches the top of the list and a spot becomes available to you, the school will contact you immediately. It is not possible for us to determine your child's chances of being offered a spot. Once our classes are full, any spots that open up are the result of student withdrawals or non-acceptance of an offer of acceptance by the given deadline. Typically a number of spots open up before the start of school, however SCDS has no way of predicting how many or in which grade. Your child may move up or down on the wait list as this occasionally happens. As we like to provide personal attention to families, we try to schedule one-on-one tours whenever possible. Kindergarten tours may be scheduled as small group tours. School tours must be scheduled through the office and are subject to availability. Though every effort will be made to schedule timely tours, we cannot guarantee that your preferred day and time will be available. Please call 480-452-5777 to schedule a tour. Walk-ins are not permitted. Below are available small group Kindergarten tour dates. 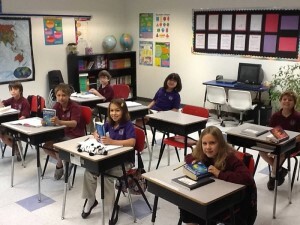 Grades 1-8 tours are reserved individually. Please call for available day/times. Due to rigorous academic programs and the disruption that visitor days may cause, SCDS does not typically permit visitor days. Contact the main office for any inquiry. A "sibling" is defined as an immediate family member of the applicant, or a blended family member of the applicant. The applicant must have a sibling currently enrolled at SCDS during the current school year. If the sibling withdraws from the school before the applicant is offered enrollment, priority status will be revoked. Priority status does not guarantee placement. All policies and deadlines must be adhered to for placement. If SCDS employment is terminated by employee or employer or if the SCDS board member's service on the board ends before the applicant attends the first day of school, priority status will be revoked. SCDS does not have admissions standards, as we are a publicly funded charter school. However, students may be required to complete summer work in order to meet graduation requirements and/or to prepare them for the academic rigor of the school. 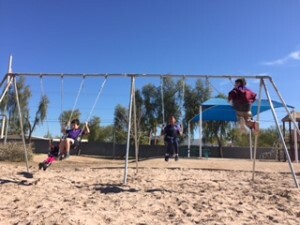 Scottsdale Country Day School admits students of any race, color, national and ethnic origin to all the rights, privileges, programs, and activities generally accorded or made available to students at the school. It does not discriminate on the basis of race, color, national and ethnic origin in administration of its educational policies, admissions policies, scholarship and loan programs, and athletic and other school administered programs.